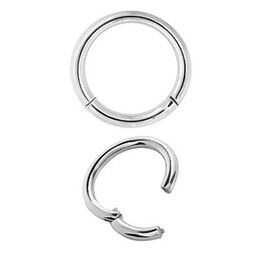 Suitable for various body piercings! 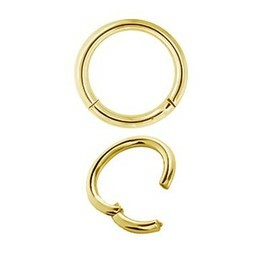 This gold hinged segment ring has a simple, classic look which goes with every outfit. The ring has a thickness of 1.6mm and is available in the diameters: 8mm, 10mm. 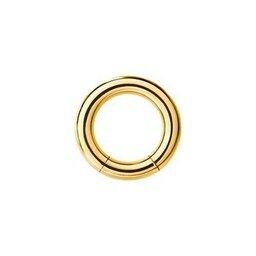 Furthermore, the ring is easy to attach and remove due to the simple click system which is provided with a tiny hinge. The ring is made of 18K gold. All of our assortment-products are very comfortable & safe to use ..and of course always nickel-free! At Piercingworks you're always at the right place, we guarantee top quality and a reliable delivery.